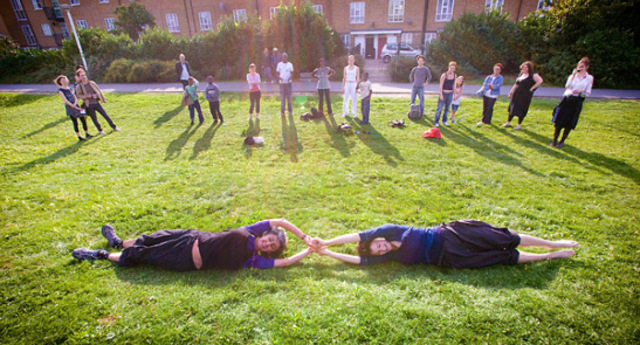 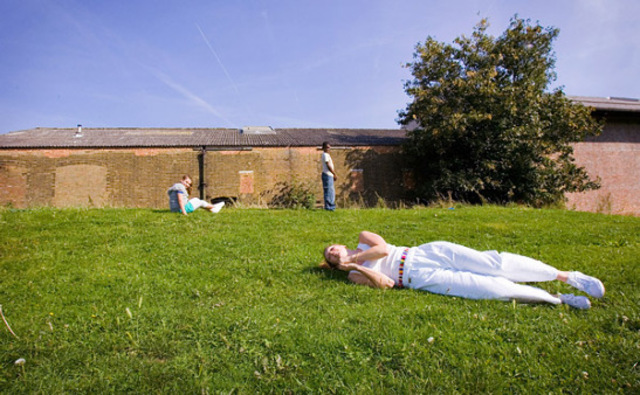 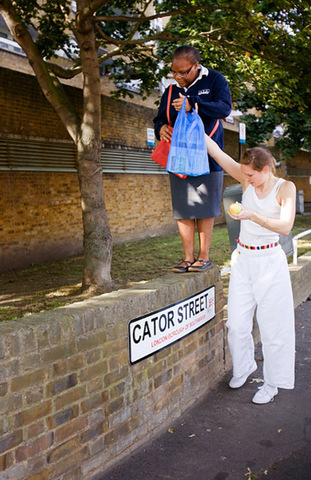 Peckham Street Training is a new collaboration between artist Lottie Child and net-art organisation Furtherfield.org. 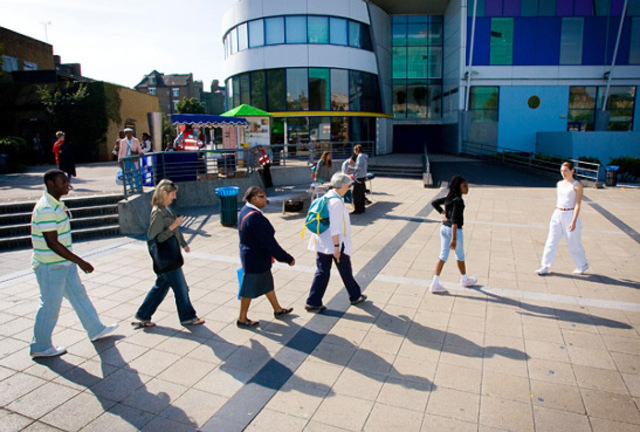 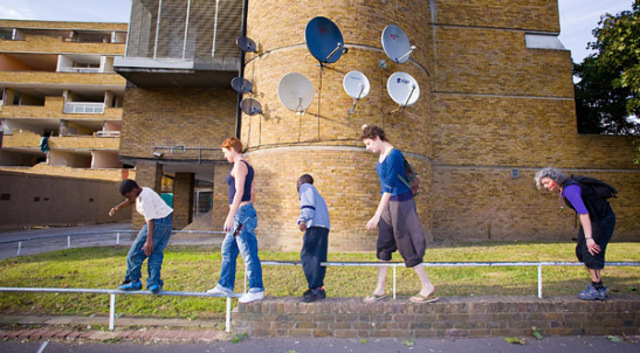 Peckham Street Training tours introduced new ways of reclaiming public space. 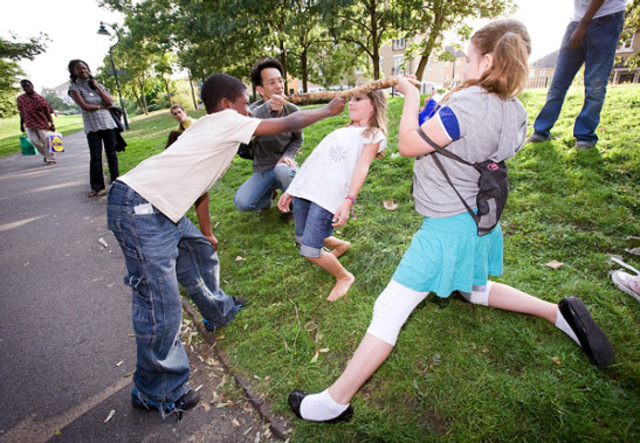 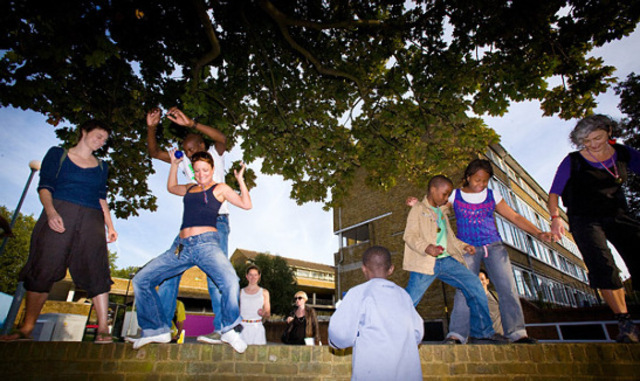 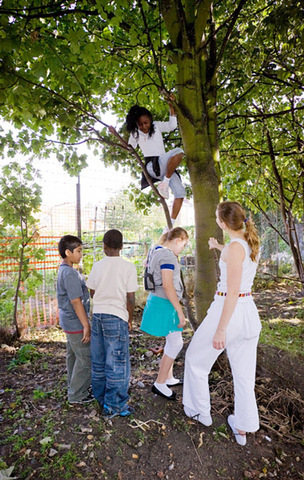 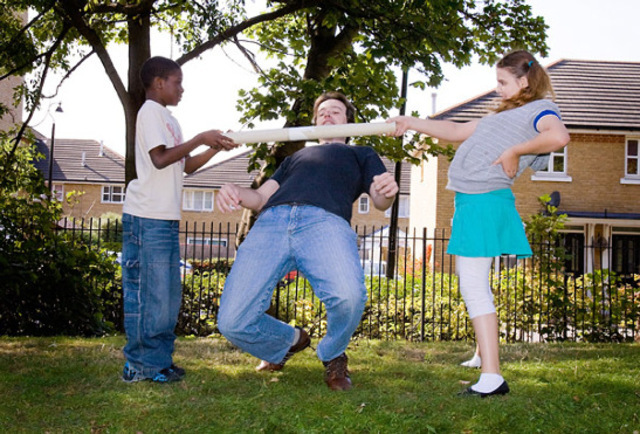 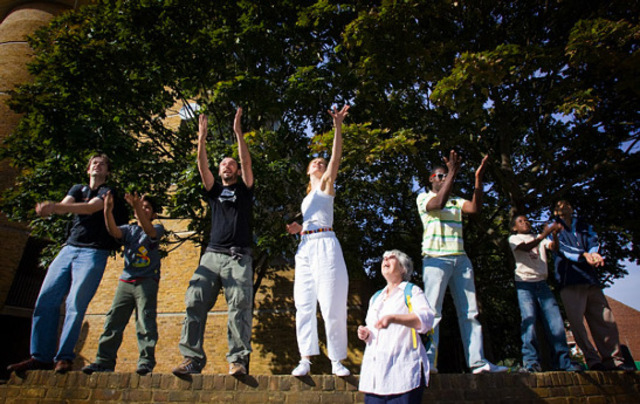 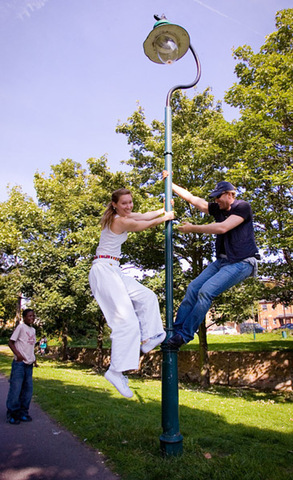 The public event explored Street Training's concepts of 'the path of safety and the path of joy', encouraging rediscovery of the urban environment through new moves and activities that were devised by a group of six local children from Year 6, Gloucester Primary School, in Peckham. 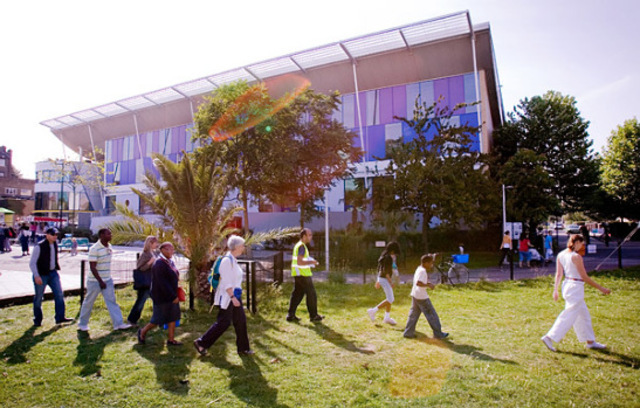 30 people took part in the Peckham Street Training tours, with the children from Gloucester Primary School demonstrating to the public the moves they had developed along the route from Peckham Square to their school. 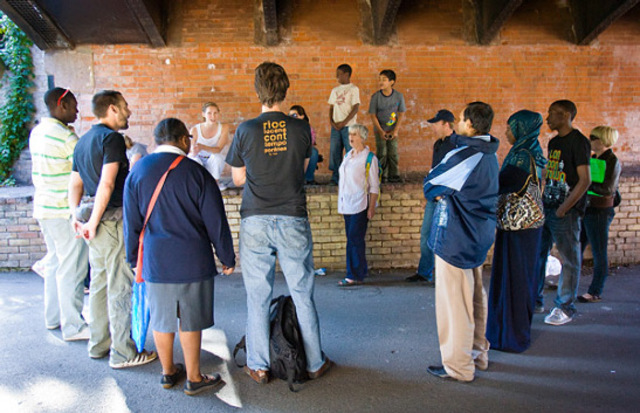 "The involvement of the kids was great. 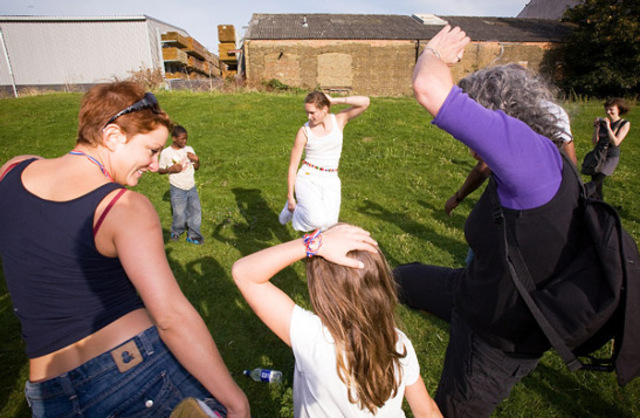 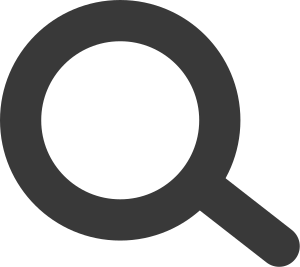 It was really good to have a mixture of adults and children at the event, especially having the children lead the adults" - Partipant feedback. 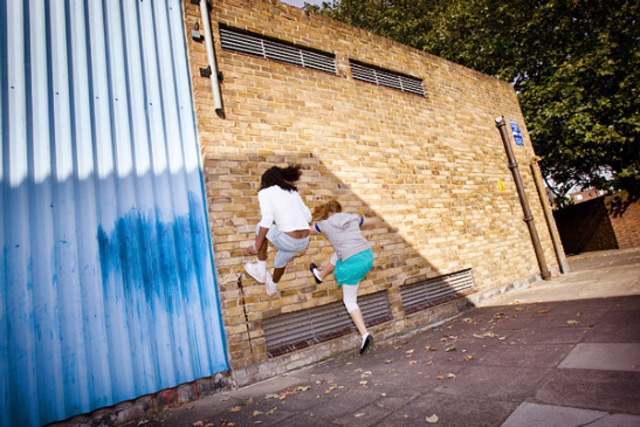 Peckham Street Training defined new territory both on the street and online. 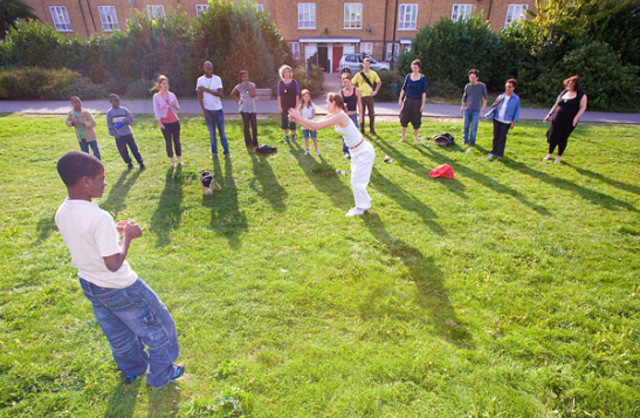 Peckham Street Training was part of Open House London 2008.